Dr. Zagelbaum is a Diplomate of the American Board of Ophthalmology (board certified) and a Fellow of the American College of Ophthalmology (F.A.A.O.) and the American College of Surgeons (F.A.C.S.). He has written textbooks in ophthalmology, as well as book chapters and peer reviewed articles. He is currently co-editing the 3rd edition of the textbook Ophthalmic Surgical Procedures. His main interests include eye trauma and sports. 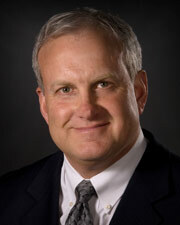 He is the ophthalmology consultant to The National Football League (NFL) and The Boxing/Mixed Martial Arts Commission. He has been the team ophthalmologist for the New York Jets, New York Mets, New York Islanders, and has worked with Major League Baseball (MLB) and the National Basketball Association (NBA).